For an epilator that provides a cooling massage as well as effective hair removal, look no further than this clever appliance. 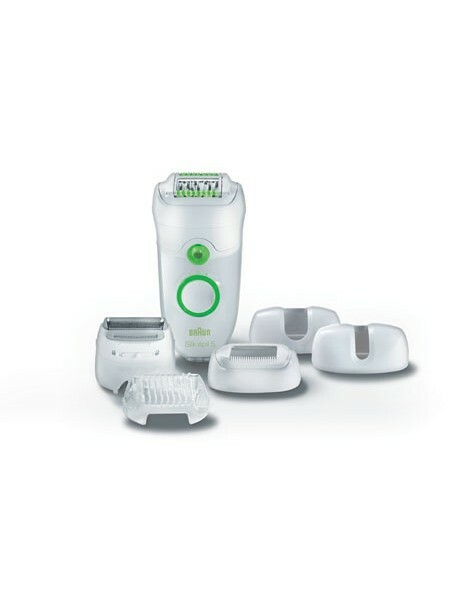 As you would expect from a German manufacturer, the Braun Silk Epil 5 Epilator 5780 demonstrates superb engineering and design. A close grip system of forty precision tweezers, pivoting head and five trimming accessories including a shaver head for the bikini zone will achieve the look you want, removing hair close to the skin efficiently. Made for comfort, the massage action minimises unpleasant sensations during the process, whilst a cooling glove soothes and cools the skin before and after hair removal. Combining gentleness with effectiveness, this epilator is a great option for personal care.